taking 3-6working days 5. 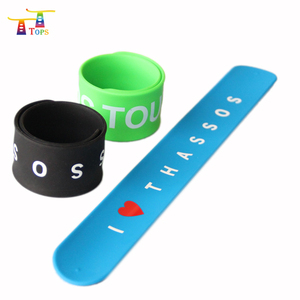 Fast shipment:10-20days bulk lead time Slap Wrist Band Detailed description: description reflective snap band Item No. other any size and logo printing is welcomed sample sample time:3days with stock available material. 3-5days with printing sample charge: depend on customer's detailed requirement delivery time usually within 20days after deposit received and sample confirmed. PVC+steel inside (2). Competitive price (4). V arious designs (5). 9. If you want add ion and light in dark , we must according to your required. 4.If you are not satisfied when you receive your item, Please contact me. 6.If you have any other question about any of our products. You can choose our way of packing, and we can pack as your request too. You can order the paper card and the packing bag you need 1 2 . It's according to the sample and the quantity of order. Alibaba.com offers 21,557 slap wrist band products. About 68% of these are bracelets & bangles, 9% are plastic jewelry, and 3% are zinc alloy jewelry. A wide variety of slap wrist band options are available to you, such as anniversary, gift, and engagement. You can also choose from children's, unisex, and men's. As well as from silicone, plastic, and alloy. And whether slap wrist band is slap & snap bracelets, charm bracelets, or bangles. 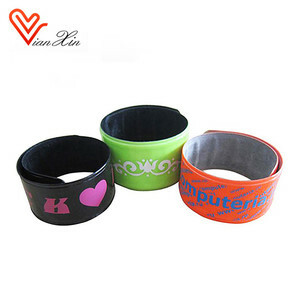 There are 21,557 slap wrist band suppliers, mainly located in Asia. The top supplying country is China (Mainland), which supply 100% of slap wrist band respectively. 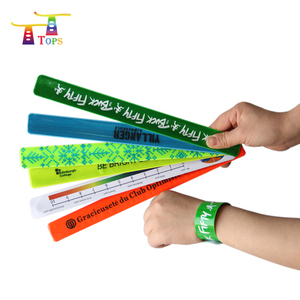 Slap wrist band products are most popular in North America, Western Europe, and Eastern Europe. You can ensure product safety by selecting from certified suppliers, including 2,904 with Other, 1,450 with ISO9001, and 381 with BSCI certification.